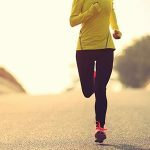 "I went from an energetic, thin active person to feeling sluggish, gaining weight, and feeling unwell in general," says Diane S, a paraprofessional who works for a school in Ohio. Her elevated thyroid-stimulating hormone (TSH) levels suggested hypothyroidism, an under-functioning thyroid gland. Even after her doctor put her on the artificial thyroid hormone Synthroid, her symptoms did not improve, and she had side effects from the drug. Although hypothyroidism has various causes, iodine deficiency is one of them. "I researched the internet and ordered a nascent iodine supplement. Within weeks my symptoms improved. I have more energy and feel my health improving." Now she only uses the natural iodine supplement and feels great! 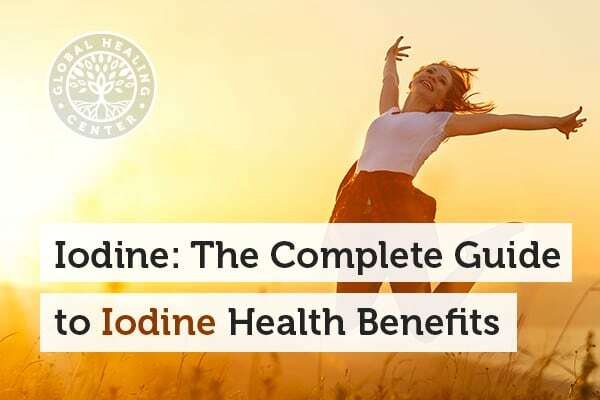 Iodine is an essential nutrient that regulates metabolism, and without enough, people can experience low energy, weight gain, dry skin, and other conditions. A chemical element with the atomic number 53 and symbol I, iodine occurs as a purple-black solid or a purple vapor when a gas. It has 37 known isotopes, and all are radioactive except I-127, the form found in food and supplements. Iodine is a trace element because of its rarity. The human body requires iodine but does not produce it; hence it is also called an essential nutrient. This means people must eat foods high in iodine or take supplements to avoid iodine deficiency. The body uses iodine to create thyroid hormones, which affect brain development and function, metabolism, and other body processes. What’s the difference between iodine and iodide? When iodine occurs as a single ion, it is called iodide, whether it’s alone as I- or bound to another element. As a negative ion or anion, I- likes to bind with positively-charged ions, like potassium or K+ which forms KI, potassium iodide. The body uses iodine to create thyroid hormones, which affect brain development and function, metabolism, and other processes. Although thyroid hormones are found throughout the body, elemental iodine can only be absorbed by thyroid and breast tissue cells via a "sodium-iodide symporter" molecule. The thyroid, a bow-tie shaped gland in the neck, takes up iodine from the blood and creates two hormones, T3 (Triiodothyronine) and T4 (Thyroxine). T3 has three and T4 has four molecules of iodine (or technically iodide). Every cell in the body requires the thyroid hormones T3 and T4 to create energy. T4 is created from the amino acid tyrosine and regulates how much T3 is produced. T3 plays a more prominent role in metabolism. Iodine has many therapeutic uses and provides many benefits, no matter your age. The most critical function of iodine, via thyroid hormones, is childhood brain development, but iodine also plays a role in heart, kidney, and liver health throughout life. Below are the top ten health benefits that iodine offers. The number one role of iodine in the body is the production of thyroid hormones. As a result, most of the body’s iodine is concentrated in the thyroid. The pituitary gland releases thyroid-stimulating hormone (TSH), which tells the thyroid how much T3 and T4 to produce. Stress can increase the production of TSH, which affects how much T3 and T4 are produced, affecting metabolism. The hypothalamus, a gland in the brain, produces a thyrotropin-releasing hormone (TRH) that also affects the production of thyroid hormones. Ensuring a healthy supply of iodine is important for a healthy thyroid. According to the World Health Organization, iodine deficiency is the number one cause of preventable mental and intellectual disabilities around the world. Pregnant women need more iodine than usual because this mineral is necessary for proper brain development of the unborn child. A breastfeeding woman needs even more iodine to ensure she gets enough for herself and her baby. Even in the U.S. and other developed nations, many pregnant women are iodine-deficient, which can lower the child’s IQ and mental aptitude. [1, 2] The most critical phase of brain development is during pregnancy, infancy, and childhood, but iodine supports healthy brain function throughout life. Iodine and thyroid hormones play a crucial role in supporting brain function, including mental wellness and mood. Some studies have linked developmental conditions, such as ADHD and autism to low iodine during pregnancy or childhood. Healthcare providers increasingly understand the role of using nutrition to encourage mental health because of connections between the gut, mental wellness, and the immune system. [4, 5,6] The role the thyroid has on adult psychiatric conditions remains unclear,[7, 8] but given iodine’s critical role in brain development, ensuring an adequate supply for overall mental wellness is a good idea. The thyroid gland controls metabolism; some people call it the master gland. People with hypothyroidism — low thyroid function – generally experience weight gain, which can also lead to sluggish feelings, brain fog, and low energy. Low iodine levels, genetics, and other conditions can cause hypothyroidism. People with hyperthyroidism – overactive thyroid – often have trouble gaining weight. An overactive thyroid produces too much of the T3 and T4 hormones, which usurps all the body’s iodine, so sometimes supplementing with iodine helps, even though it seems counterintuitive. However, check with your healthcare provider. Iodine can clean up and destroy most types of harmful organisms. Because of this, medical professionals use it to clean wounds and prepare you for some surgeries. But these properties can also benefit your immune system. Iodine helps defend against harmful cells, a process called apoptosis. Iodine also acts as an antioxidant that scavenges free radicals in the body. It’s clear that getting adequate iodine in your diet plays a role in ensuring healthy skin, nails, and hair. In animal studies, iodine deficiency was linked to a lack of hair growth. Individuals born with cretinism have less hair than normal and thick, dry skin. People with low iodine may experience dry skin. Some people, particularly adolescents, may get acne after consuming iodine-rich foods especially dairy (which gets its iodine from iodine-antiseptics used to clean dairy farming equipment). Elemental iodine falls within the halogen group on the periodic table of elements. The halogen group also includes chlorine, fluorine, and bromine. People use chlorine to disinfect pool water, but it can irritate the lungs, eyes, and skin. Although it's commonly added to public water supplies, fluoride (a form of fluorine) disrupts the way enzymes operate in the body, affecting cellular function, cell signaling, and the stress response. Scientists have linked brominated flame retardants (polybrominated diphenyl ethers; PBDEs) to brain and thyroid dysfunction, preterm birth, and more. These halogens are taken up by the thyroid, since they are chemically similar, preventing iodine from entering thyroid cells. Saturating the thyroid with iodine promotes detoxification by prompting it to release undesirable halogens. It can also purge the system of toxic metals since iodine binds to such elements in the body. When nuclear emergencies arise, I-131, a dangerous radioactive form of iodine, is released into the atmosphere where it can be taken up by the thyroid gland. To prevent this, governments and medical professionals provide non-radioactive iodine in the form of potassium iodide (KI). If given at high enough doses – hundreds of times the normal dose – the good iodine saturates the thyroid gland, preventing the radioactive isotopes from entering. The dose is repeated once daily until the threat is gone. Iodine has a long history as a must-have tool for first aid, and you will find iodine packets in most first aid kits. These are typically povidone-iodine solution on a small towelette and used topically to cleanse wounds. Some first aid kits also include iodine crystal tablets for treating water in emergency conditions. Iodine tablets provide a faster method of water treatment compared with boiling. Iodine plays a crucially important role in supporting women’s health. In addition to the support it provides to the brain, bones, and organ development of a baby during a woman’s pregnancy, it helps with women’s reproductive health and breast health. Studies show that moderate iodine deficiencies may reduce a woman’s chances of getting pregnant. Severe iodine deficiencies may also lead to miscarriage. Even mildly low iodine levels in pregnant women are linked with greater oxidative stress – a reduction in the body’s ability to break down free radicals – which leads to complications, including preeclampsia, gestational diabetes mellitus, and preterm birth. Iodine-deficiency is also a risk factor for developing polycystic ovary syndrome (PCOS), in which cysts or benign growths develop in the ovaries. This condition starts off harmless but may affect hormone balance. Like thyroid tissue, breast tissue absorbs iodine, and breast conditions and iodine deficiencies may be connected. [10, 21] Women with low thyroid activity (hypothyroidism) also may experience water retention, which leads to puffy, swollen skin. Below are the guidelines for iodine developed by the Food and Nutrition Board (FNB) at the Institute of Medicine of the National Academies. The Recommended Dietary Allowance (RDA) is listed in micrograms (mcg). Some healthcare experts, myself included, recommend higher servings than described here because these recommendations are insufficient to provide all the iodine the body needs. However, as with everything, there is an upper limit to how much iodine you should consume. Not only are iodine supplements safe when used as directed, but iodine is also an essential nutrient. The US Institute of Medicine and the World Health Organization describe a tolerable upper level of 1,100 mcg per day for adults. On the other hand, many medications, supplements, and iodinated radiological treatments contain iodine doses at much higher servings (a single drop of SSKI solution contains 50,000 mcg. Research suggests that people have a wide variance in how much iodine their bodies can tolerate before expressing symptoms of overdose, and further, that a person’s thyroid adapts to high amounts of iodine in a biological feedback loop that allows the body to maintain its healthy functioning (this even has a name: the Wolff-Chaikoff effect). People with autoimmune diseases, particularly those affecting the thyroid, are most at risk of experiencing negative health issues from consuming higher servings of iodine. Can I Be Allergic to Iodine? Many people believe they have an iodine allergy, but the science is clear: iodine is too small of a molecule to cause an allergic reaction in the body. Some people experience a severe allergic reaction to iodine-containing seafood, but the research indicates seafood proteins cause the allergy. Some people experience allergic responses to iodine-containing contrast dyes or, rarely, to a povidone-iodine topical solution, but again, studies indicate other chemical compounds cause the reactions or allergies, not iodine. Although iodine side effects are rare, some people report minor concerns including a metallic taste in the mouth, burning, nausea, headache, or diarrhea. When taking higher doses of potassium iodide immediately after radiation exposure, people have reported skin rashes, swelling of the salivary glands, or in more severe cases, difficulty breathing. If you have dermatitis herpetiformis, an itchy skin rash often caused by gluten intolerance or autoimmune disease, iodine may worsen the condition. Iodine may interact with certain medications, especially thyroid medication. Mild interactions may occur with medications that contain lithium, medications for high blood pressure, diuretic water pills, and iodine-containing products for heart conditions. Although iodine is an essential nutrient, it should be taken responsibly and with a specific purpose. If you have certain medical conditions, discuss your iodine supplementation with your healthcare provider. Studies have found that – in some cases – ingesting too much iodine can lead to symptoms similar to those associated with iodine deficiency, like goiter and hypothyroidism. If you have known kidney or thyroid issues, consult your healthcare provider to find out their recommendations for your condition, so that you take the correct amount of iodine. When excessive amounts of iodine are ingested, it can cause an iodine overdose or iodine toxicity, which causes abdominal pain, delirium, fever, vomiting, and shortness of breath. If you recently moved from an iodine-deficient region, like eastern Europe or Africa, your body might overcompensate for increased iodine in your diet. According to the American Thyroid Association, people in iodine-deficient areas have adapted to functioning with extremely minute amounts of iodine, and a sudden increase in iodine may cause symptoms of a thyroid disorder. We previously described the importance of iodine throughout the body. 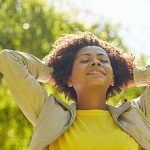 Not only is it necessary for the thyroid hormones that control how you feel and how much energy you have, but it's also critical for cognitive health. 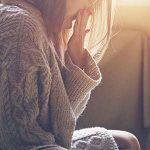 If you have low iodine levels, you may experience symptoms such as brain fog, poor mood, low energy, weight gain, sluggishness, fatigue, weakened immune system, and in women, breast heaviness. Deficiencies can lead to an enlarged thyroid gland and mental imbalances. Children who do not get enough iodine may have stunted brain development. Severe deficiencies during pregnancy lead to various developmental disabilities. Iodine deficiency may also lead to miscarriage. Pregnant women are vulnerable due to the importance of iodine to the developing baby, which increases their daily iodine requirement. Children also require iodine for proper brain and bone development. In recent years, milk products are considered less and less a good source of iodine, since fewer dairy farmers are using iodine-containing solutions to sterilize their equipment, which makes its way into the milk supply. Also, people who follow diets that are very high in goitrogens, which are foods that reduce iodine absorption by the thyroid, may be at risk of developing an iodine deficiency. Foods that contain goitrogens include cassava, millet, mustard, peanuts, and cruciferous vegetables like broccoli, cabbage, and Brussels sprouts. Keep in mind, however, that cruciferous vegetables provide many health-promoting nutrients when consumed as part of a balanced diet. Although salt is still iodized, the U.S. government noticed a decline in American iodine levels between 1971 – 1974 and 1988 – 1994, which they linked to lowered dietary intake of iodine. Less iodine in milk and dairy products might be one factor for this decline. What Are the Best Sources of Iodine? There are several ways to obtain iodine. A healthy, balanced diet should provide all your nutrients, including iodine. There are a number of foods that are a good source of iodine. But, if you’re unable to consistently and completely get the iodine you need from food, iodine supplements can help. Most foods do not have a high iodine content, but there are several iodine-rich foods. 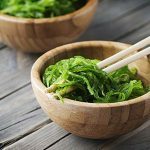 Foods From the Ocean: Since iodine occurs in ocean sediments and ocean water, top sources include seafood, shellfish, and sea vegetables or seaweed such as wakame, dulse, or nori – which are iodine superfoods. A sheet of seaweed may contain between 16-3,000 mcg of iodine. Unfortunately, food from the ocean can be subject to various pollutants. Dairy Products: Milk products often contain iodine due to the use of iodine-containing antiseptics on dairy equipment and to clean the teats of cows, although this usage is declining. As a result, milk products may or may not contain iodine, depending on the dairy farm it comes from. For persons who follow a plant-based diet, dairy isn't a viable solution. Produce Grown in Iodine-Rich Soil: When grown in iodine-rich soil, vegetables may contain higher levels of this element. Generally, farms in coastal regions, or which were historically under the ocean have higher iodine content in the soil. Unfortunately, most people do not know where their produce is grown. Some stores provide local produce and you can ask your grocer where it's grown. Iodine-Rich Fruits & Vegetables: Some fruits and vegetables contain iodine, including potatoes, beans, and corn. Among fruits, cranberries, strawberries, prunes, and bananas have the highest amounts. One banana provides 3 mcg, and five prunes or one cup of strawberries contain 13 mcg. That’s still only about 10 percent of the Recommended Daily Allowance of 150 mcg for adults, and even less if you are seeking a larger serving. Himalayan Pink Salt: Some people consider table salt a good source of iodine. However, not only is table salt bleached with chemicals, but iodine is artificially added to the sodium chloride. Instead, I recommend Himalayan pink crystal salt which has natural, although inconsistent levels, of iodine. Nutrients from food are best but it can be a challenge to get enough iodine from foods unless you eat seaweed and seafood every day. Supplementing can help you ensure that you meet your daily needs for this vital nutrient. If you don’t get enough from your diet, you can find iodine supplements virtually anywhere. You can buy iodine supplements over the counter without a prescription, at stores or online. Many multivitamin formulations include iodine. Whichever one you choose, make sure you're getting a product that's organic, deep-earth sourced, and produced without harsh chemicals or alcohol. What Forms Does Iodine Come In? You can find iodine in several forms including tablets, liquid, and in different configurations, like potassium iodine, nascent iodine, and more. Potassium iodide (KI) comes in tablets or liquid. The tablets are sometimes sold under the brand name Ioderol. The liquid is called SSKI or Super Saturated KI. Doctors give patients SSKI as an expectorant to help clear mucus, to prepare for surgery, and in rare circumstances of exposure to nuclear outfall to treat radiation. Sometimes, sodium iodide is also used to remedy deficiencies. Povidone-iodine solution, sold under the brand Betadine, is a powerful antiseptic and disinfectant. This form is commonly used in first aid kits and medical settings to clean wounds and sterilize skin before major or minor surgery. This is not typically taken orally, although some people use it as a mouthwash. A study funded by the National Heart, Lung and Blood Institute found that not only did it support gum health, the iodine mouthwash had a side benefit of reducing bad (LDL) cholesterol. Lugol’s Solution is one of the most common iodine supplements. Lugol’s is an aqueous solution containing one part free elemental iodine to two parts potassium iodide in distilled water. Although Lugol’s contains just 2-5 percent iodine, the free iodine is more potent, so it is sometimes called strong iodine solution. Lugol’s has been used for decades as a disinfectant, in dental settings, in various medical procedures, and as a pre-operative treatment for patients with Grave’s disease headed for thyroidectomy (thyroid removal). In an iodine tincture, elemental iodine is suspended in water and ethanol. A weak iodine tincture is about 2-7 percent iodine, while a strong tincture is 7 percent or higher. Both strengths are used as antiseptics, and are used topically rather than taken orally. Some people use a tincture of iodine for what's called the iodine patch test, a popular but unreliable method of testing for iodine deficiency. An iodine loading test is a far more reliable measure of iodine levels, but must be done by a healthcare provider. What are the best ways to get iodine supplementally? Although Lugol’s and SSKI are sometimes useful, I recommend nascent iodine, sometimes called atomic iodine, where iodine is in a free ionic state, unbound to another atom. Nascent, colloidal iodine is more readily absorbed by the body than other forms, which means it is more bioavailable. Our certified organic nascent iodine supplement, Detoxadine, is a colloidal suspension, which means the iodine atoms are suspended in another substance, in this case, vegetable glycerin, which is better than alcohol. Not only is glycerin a better solvent for iodine, but it’s also healthier since ethanol alcohol is typically manufactured from genetically modified (GMO) corn. For more information, check out Dr. Group’s Everything You Need to Know About Iodine Webinar! How about you? Do you try to get your iodine from food or do you take an iodine supplement? What sort of results have you experienced? Tell us your story in the comments below. Kapil U. "Health Consequences of Iodine Deficiency." Sultan Qaboos Univ Med J. 2007;7(3),267-272. Błażewicz A, et al. "Iodine in autism spectrum disorders." J Trace Elem Med Biol. 2016;34:32-7. Vermiglio F, et al. "Attention Deficit and Hyperactivity Disorders in the Offspring of Mothers Exposed to Mild-Moderate Iodine Deficiency: A Possible Novel Iodine Deficiency Disorder in Developed Countries." J Clin Endocrinol Metab. 2004;89(12),6054-60. Visser J et al. "Tight Junctions, Intestinal Permeability, and Autoimmunity Celiac Disease and Type 1 Diabetes Paradigms." Ann N Y Acad Sci. 2009;1165,195-205. Mu Q, et al. "Leaky Gut As a Danger Signal for Autoimmune Diseases." Front Immunol. 2017;8,598. Rao M, Gershon MD. "The bowel and beyond: the enteric nervous system in neurological disorders." Nat Rev Gastroenterol Hepatol. 2016;13,517–528. Hermann D, et al. "Testing the association between thyroid dysfunction and psychiatric diagnostic group in an iodine-deficient area." J Psychiatry Neurosci. 2004;29(6),444-449. Bunevičius R, Prange A. "Thyroid_disease_and_mental_disorders__cause_and.12.aspxThyroid disease and mental disorders: cause and effect or only comorbidity?" Curr Opin Psychiatry. 2010;23(4),363-8. Flynn J. "Povidone-iodine as a topical antiseptic for treating and preventing wound infection: a literature review." Br J Community Nurs. 2003;8(6 Suppl),S36-42. Rappaport J. "Changes in Dietary Iodine Explains Increasing Incidence of Breast Cancer with Distant Involvement in Young Women." J Cancer. 2017;8(2),174-177. Aceves C, et al. "The Extrathyronine Actions of Iodine as Antioxidant, Apoptotic, and Differentiation Factor in Various Tissues." Thyroid. 2013;23(8),938-946. Eastman CJ, Zimmermann MB. "The Iodine Deficiency Disorders." In, Endotext. De Groot LJ, et al, Editors. 2000. "Underactive thyroid: Overview." Informed Health Online: Current Medical Knowledge. Institute for Quality and Efficiency in Health Care. 10 Aug. 2017. Accessed 1 Jun. 2018. Kucharska A, et al. "Significance of diet in treated and untreated acne vulgaris." Postepy Dermatol Alergol. 2016;33(2),81-86. Li J-H, et al. "Health Effects from Swimming Training in Chlorinated Pools and the Corresponding Metabolic Stress Pathways." PLoS One. 2015;10(3),e0119241. Peckham S, Awofeso N. "Water Fluoridation: A Critical Review of the Physiological Effects of Ingested Fluoride as a Public Health Intervention." ScientificWorldJournal. 2014; 2014,293019. Harrington RM, et al. "Effects of chlorine dioxide on thyroid function in the African green monkey and the rat." J Toxicol Environ Health. 1986;19(2),235-42. "Frequently Asked Questions on Potassium Iodide (KI)." U.S. Food & Drug Administration. 14 Oct 2016. Accessed 1 Jun. 2018. "Iodine deficiency may reduce pregnancy chances, NIH study suggests." National Institutes of Health. 11 Jan. 2018. Accessed 1 Jun. 2018. Vidal ZE, et al. "Oxidative stress increased in pregnant women with iodine deficiency." Biol Trace Elem Res. 2014;157(3),211-7. Upadhyay G, et al. "Functional expression of sodium iodide symporter (NIS) in human breast cancer tissue." Breast Cancer Res Treat. 2003;77(2),157-65. "Iodine: Fact Sheet for Health Professionals." U.S. Department of Health and Human Services Office of Dietary Supplements, National Institutes of Health. Nih.gov. 2011. Accessed 31 May 2018. Leung AM, Braverman LE. "Consequences of excess iodine." Nat Rev Endocrinol. 2014;10(3),136-142. "Iodine Deficiency." American Thyroid Association. Accessed 31 May 2018. Qian M, et al. "The effects of iodine on intelligence in children: a meta-analysis of studies conducted in China." Asia Pac J Clin Nutr. 2005;14(1),32-42. Santiago-Fernandez P, et al. "Intelligence Quotient and Iodine Intake: A Cross-Sectional Study in Children." J Clin Endocrinol Metab. 2004;89(8),3851-7. "Study Finds New Iodine Mouthwash May Impact LDL Cholesterol." [press release]. Business Week. 22 Apr. 2013. Calissendorff J, Falhammar H. "Lugol’s solution and other iodide preparations: perspectives and research directions in Graves’ disease." Endocrine. 2017;58(3),467-473.